While visiting the Disney Animation Studio to learn more about Wreck-It Ralph, I had to opportunity to get crafty in honor of the world of Sugar Rush featured in the film. 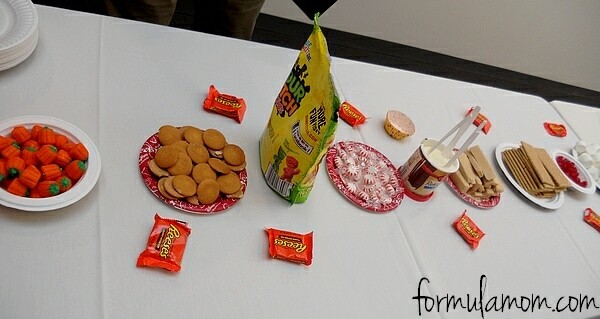 Crafts with candy are always fun to make (and eat) so creating a Sugar Rush inspired race car was a blast! It’s a great way to bring the film home with your kids! Sugar Rush is the fictional racing game that Ralph visits during the movie. It’s inspired by all things sweet! 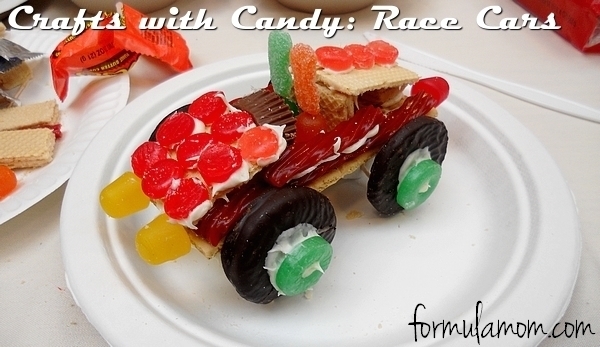 The cars and race tracks are made of candy and other sweet treats! If you’ve ever played a racing video game and enjoyed it, then Sugar Rush is the game for you! While I was in Los Angeles, I was challenged to create my own Sugar Rush inspired candy car using actual food! The key to successful candy race cars is providing a variety of candy. At the Disney Animation Studio we had everything from peppermints and mallowcreme pumpkins to Sour Patch kids and gumdrops. The variety of was amazing and allowed everyone to be as creative as they wanted to be. We also had a variety of cookies and frosting to help everything stick! While candy car design is a very personal activity, I quickly discovered that certain supplies were very helpful when it came to building a solid structure for my car. 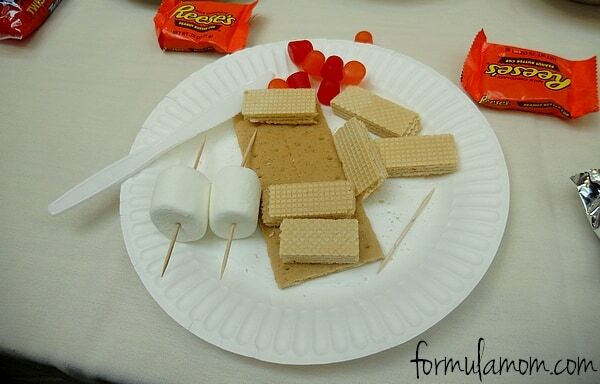 Many of us used graham crackers as a base. Then it started to go in entirely different directions. I decided to use marshmallows for a type of wheel axle. 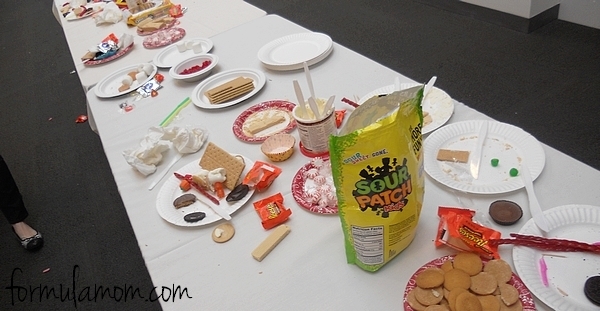 Providing candy and cookies of different shapes and sizes is key to success with this project. We had a great variety so the options allowed everyone to really get thinking. After considering Life Savers and Oreos, I settled on peppermint patties for my wheels. I may have snacked on one while designing as well. Every great designer needs inspiration… and a snack, right? I used some cake frosting to attach my wheels to the base of my car. I was on the right track and then it was time to build up the body of my car. I had to be careful because wheels made with peppermint patties actually try to roll. Don’t say I didn’t warn you! Building the body and plotting a great design was the most challenging part. There were so many goodies on the table to choose from that I had some trouble. I cannot imagine what the art directors go through when trying to narrow down the design options for a world like Sugar Rush. There is just so much inspiration out there! Once I got started, the ideas just started rolling! From headlights to hubcaps, I was having a great time. It definitely brought out the kid in me. We all need that from time to time. I think that’s what I love about Wreck-It Ralph! It really brings out the kid in everyone. The film offers a little something for every member family! As you can see, everyone might have had the same supplies to work with but the possibilities were endless! There were some amazing cars on the table when all was said and done. I’m pretty sure everyone had a blast making them too! It’s a great idea for a birthday party or a rainy day! It could also be a great way to have some affordable family fun! You could hit up a Wreck It-Ralph matinee and then go home to make your own Sugar Rush carts! Make it more affordable by stocking up on candy when it’s on sale! Just make sure you get the entire family (or all of the friends) to help clean up when it’s all said and done! It is on the messy side but that is part of the fun! Wreck-It Ralph is Coming Soon! Wreck-It Ralph opens in theaters on November 2nd! Get ready to wreck it and connect with Wreck-It Ralph on Facebook and on Twitter @WreckItRalph! You can also enter the Play & Win Sweepstakes for the chance to win a hero’s journey from Adventures by Disney! 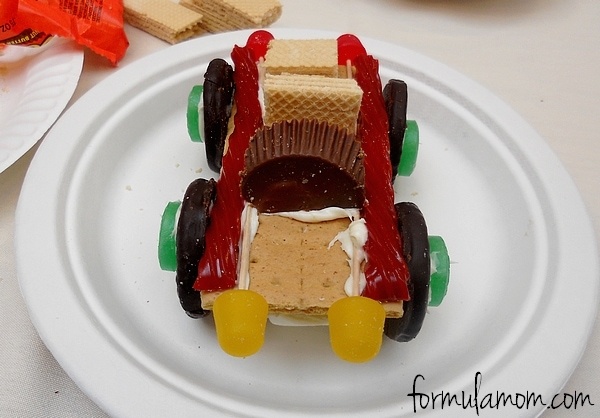 What candy would you use to design your own Wreck-It Ralph Sugar Rush Car? Formula Mom Disclosure: Disney provided me with a trip to Los Angeles in return for my honest review on the movies and events mentioned above. Most of my expenses were paid by Disney and no other compensation was given. All experiences and opinions are 100% my own. I think I’m in love with your car… but that might be the PMS talking! Love the idea and cannot wait to duplicate it with my kids. I’m going to let Jas make a Sugar Rush car very soon. It’s going to be fun. I am going to give my kids that and let them go play at your house til the sugar rush wears off 🙂 They would SOOOO love that craft! That is awesome! My kids would love to make race cars like that. Definitely a fun activity. 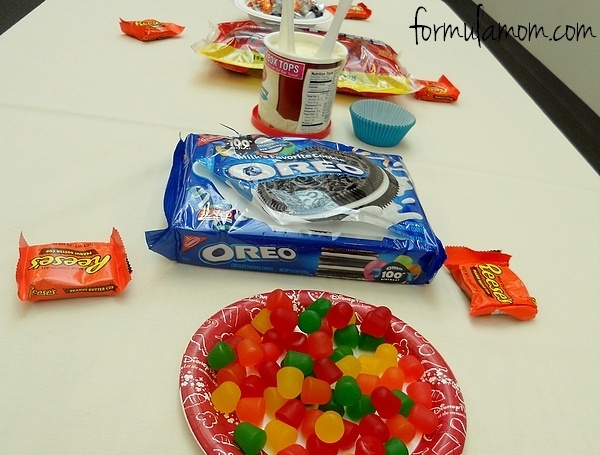 This could even be a great activity for a birthday party too! We are doing this as a birthday party craft this weekend! The kids are so excited! I’m going to do this craft at a birthday party. Thanks for the great idea! About how long did it take your kid to build one of these? I’m not sure how much time to plan for this activity. I would set aside at least 30-45 minutes although it can easily go longer! I was recently thinking about the next birthday being wreck it ralph because my boys loved the movie, this would be a great activity to do on his birthday! 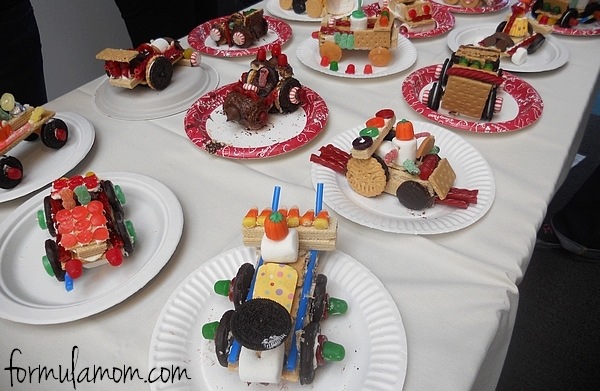 I’m going to do a Sugar Rush party for my daughter next weekend and love the idea of having the kids make their own candy race cars! Did the regular frosting hold everything on well enough, or would you recommend royal icing? Thanks! It did work well. If the kids are going to be trying to take them home with them then royal icing would probably be even better! The car is Awesome! What a wonderful way to get the kids involved and enjoy it while the end result is something so cool – you want to take a picture of it. What a fun party! Those cars turned out looking great! My grandsons would love to make one of those!